This post is about some of the limitations in creating Variables in Calc Manager. (You probably may have noticed this and have a work around for this one). 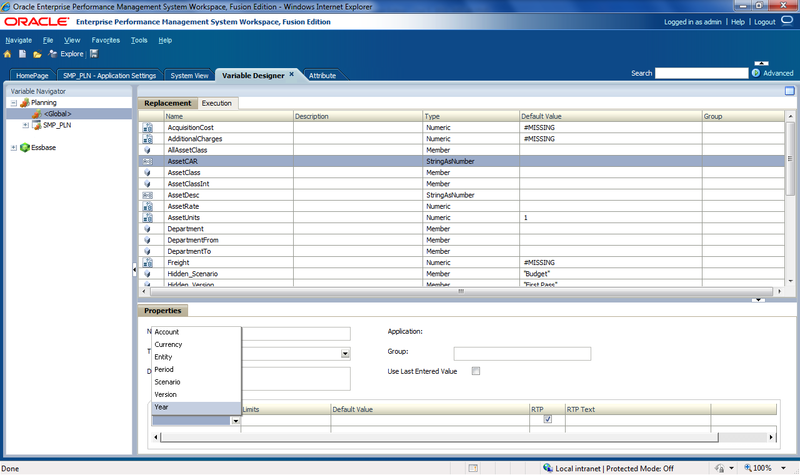 I was creating a variable of my Sample application for the Dimension Segments. Add this variable to the rule. 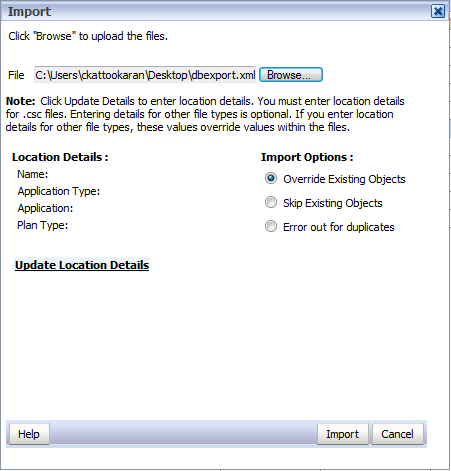 Go to System View and export the rule for editing purpose. Change the dimensionType here from Account to “Segments”. Import the xml into Calc Manger. Ok another way to add it (thanks to Lingaraj). Create variables for each Databases (under application) and copy that to Global. If you are using multiple rules in a rule set then there is an option to do that in the rule set definition. If it is just a single rule, then you should check whether a different variable is used. Use Override while importing? Do you have any objects in there?